Russian State Duma Speaker Vyacheslav Volodin has arrived at Jose Marti airport in Havana for the funeral of Fidel Castro, leader of the Cuban revolution, Nov. 29, 2016. Speaker of Russia’s State Duma (lower house of parliament), Vyacheslav Volodin, said that Russians had always loved and respected the late Cuban leader, Fidel Castro, whose name is linked with the struggle for freedom and independence of his country. Volodin arrived in Havana earlier on Nov. 29 to attend the funeral ceremonies. "We arrived in Havana on behalf of our country’s President Vladimir Putin," Volodin said. He noted that Russians are expressing sympathies to the Cuban people, everyone who remembers Fidel Castro and who worked with him. "People in Russia know, respect and love him," he added. "The struggle for freedom and the rights of citizens is associated with his name. That’s why honor his memory and believe that his name went down in history," the speaker said. 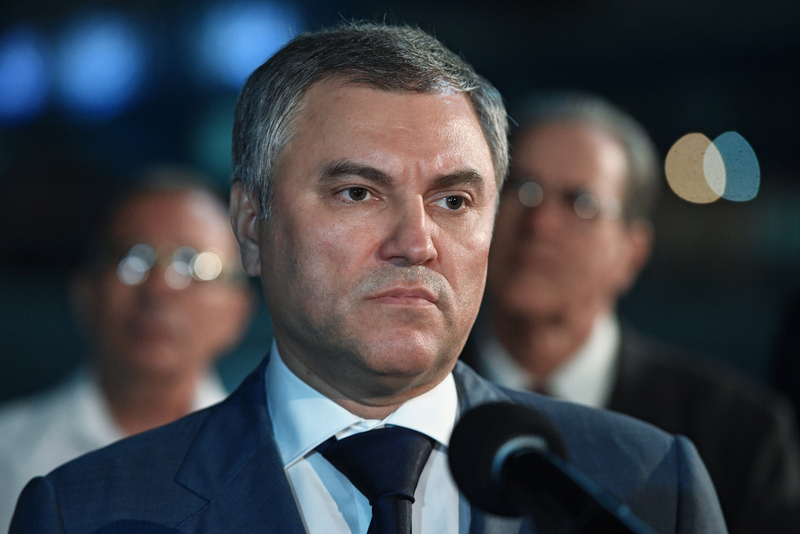 Volodin leads Russia’s delegation in Havana. The speaker is accompanied by Deputy Foreign Minister Sergey Ryabkov, First Vice Chairman of the State Duma, Ivan Melnikov, head of the State Duma International Affairs Committee, Leonid Slutsky, his first deputy Dmitry Novikov and member of this committee, Sergei Zheleznyak. Fidel Castro, Cuba’s revolutionary leader, died on Nov. 25 aged 90. Cuba declared 9 days of mourning as of Nov. 26. Castro’s funeral will be held in the city of Santiago de Cuba on Dec. 4. According to the politician’s will, his body has been cremated.